You can see a lot of wonderful things via Google Street View. Google Maps' photographic service can take you to the Colosseum in Rome or inside a museum. Or it can give you a glimpse of the secret lives of sheep. Photographers Ding Ren and Mike Karabinos started Google Sheep View as a virtual substitute for the pastoral ovine views they get riding trains through the Netherlands. 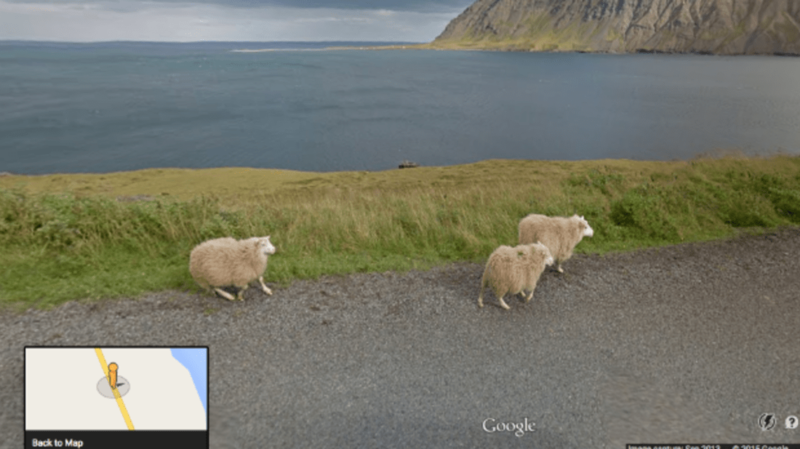 The site is a testament to the sheer breadth of sheep diversity documented by Google Street View. There are sheep grazing, sheep seemingly wandering down roads all by themselves, sheep being herded en masse, sheep hanging out in the city. Big sheep, little sheep, fluffy sheep, scrawny sheep, spanning nationalities and breeds and colors. It’s a beautiful thing.